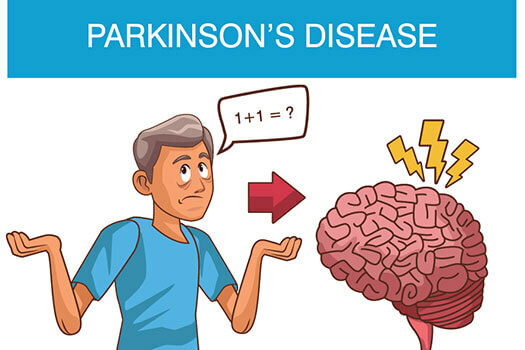 Parkinson’s disease is a central nervous system disorder that makes it difficult for the body to control movement, and it gradually gets worse as the disease progresses. The later stages of Parkinson’s disease are characterized by noticeable symptoms like an inability to move or constant trembling. However, in earlier stages the signs of Parkinson’s are subtler. Keep an eye out for the following early warning signs of Parkinson’s disease. One of the first areas Parkinson’s disease often affects is the vocal chords. Parkinson’s can cause seniors to begin speaking in a somewhat quieter than normal tone. Your senior loved one may not notice the difference, but other people may comment that he or she sounds hoarse or slurred. Caring for a senior loved one with Parkinson’s disease can be a challenging task. Families who need help taking care of their senior family members can turn to Home Care Assistance Huntington. One of our trusted caregivers can encourage your loved one to adopt healthier habits and help him or her age in place safely and comfortably. It is normal for the hands to shake after finishing a strenuous task or when frightened. However, it may be a sign of Parkinson’s disease if your loved one’s hands are trembling constantly. At first, the tremor may be in a finger or thumb, but it will eventually begin to spread. The tremors may go away when your loved one concentrates or uses his or her hands for tasks like painting or writing, but they may come back when he or she is not paying attention. Parkinson’s disease is one of the many health conditions that can impair a senior’s overall quality of life. Living with a serious health condition can make it challenging for seniors to age in place. However, they can maintain a higher quality of life with the help of professional 24-hour care. Huntington seniors can benefit from assistance with meal prep, bathing, transportation to the doctor’s office, medication reminders, and much more. Parkinson’s disease can affect the nerves and muscles used to move food through the gastrointestinal tract. People with Parkinson’s disease frequently find they cannot have bowel movements without a great deal of strain. Chronic constipation may be caused by a lack of adequate fiber and water, but if your loved one is getting enough fiber and water and still has difficulties, it may be a symptom of Parkinson’s disease. This symptom occurs because people with Parkinson’s may not be able to make the same facial movements healthy people make. The people around your loved one might not notice that his or her face is abnormally still, but they may comment that your loved one looks sad, annoyed, or upset even when he or she is feeling perfectly happy. Parkinson’s disease affects the nervous system in many unusual ways, so it can cause a person to move around more during sleep. It is common for seniors with Parkinson’s disease to act out their dreams while they sleep. Spouses of those with Parkinson’s frequently report they have to sleep in another bed to get enough rest. It is normal to twitch slightly while falling asleep, but you should be concerned if your loved one is constantly moving around all night. Seniors can alleviate some Parkinson’s symptoms by making healthy lifestyle choices. If your aging loved one needs help managing everyday tasks or encouragement to adopt healthier lifestyle choices, turn to Home Care Assistance, a leading provider of senior care. Huntington Home Care Assistance provides professional in-home caregivers around the clock to help seniors live longer, happier, and healthier lives. Call us at [hca_today] and create a customized Parkinson’s care plan for your senior loved one.